Today’s animal keeper is both equipped and passionate about the role he or she plays in maintaining the physical and psychological well-being of the animals in their care. The physical well-being of the animals is met by providing clean environments for the animals to live in and by diligently monitoring their health and behavior. An equally important aspect of an animal keeper’s job is maintaining the psychological well-being of these same animals by ensuring that the animals are mentally stimulated. This critical task is accomplished in a number of ways and is limited only by a keeper’s imagination. Daily, keepers take the time to scatter and hide food around an animal’s exhibit. They can also put food in puzzle feeders that will challenge and occupy an animals’ time as it tries to get the desired food item out of the device. Keepers can also engage in activities like spreading another animals’ scent around an exhibit to stimulate a carnivore’s hunting instincts, or by providing branches and leaves for an herbivore to enjoy. What the caregivers are providing for the animals is referred to as environmental enrichment. Keepers can also stimulate an animal’s mind and make it easier to medically manage these animals by teaching them to present various body parts as part of an operant conditioning program. Activities like these can be incredibly stimulating and rewarding for animals as they try to figure out what their caregiver is asking of them. 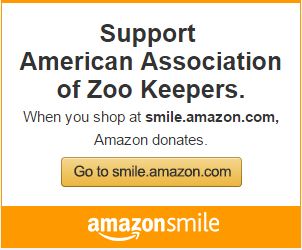 The Los Angeles Chapter of the American Association of Zoo Keepers is an organization committed to professional development and providing animal keepers with opportunities to raise money for animal conservation. Fundraisers held at AAZK chapters throughout the nation have generated both money and awareness for various conservation programs around the globe. One such fundraiser, Bowling for Rhinos, has actually raised well over three million dollars to help save rhinos in Asia and Africa. The Los Angeles Zoo has recently reinstated its AAZK Chapter. This Chapter is also committed to professional development. In order to learn from others and share our experiences we have set up professional meetings with animal keepers from other institutions around the Southern California area. LA/AAZK has raised $1,000 for Elephant Conservation in Cambodia, $450,000 for Rhino Conservation in Africa and Southeast Asia, over $18,000 for Giraffe Conservation in the wild and $4,500 for Gorilla Conservation in Central Africa. Click the Amazon link above to support AAZK/LA. You buy what you want and a portion supports our AAZK Chapter!